​Steve Groff, owner of Cedar Meadow Farm in Lancaster County, PA, is well-known for his work in cover crop research and no-till production practices. He applies his knowledge both in-field for grain and vegetable crops, but also under cover in the multi-bay style Haygrove high tunnels he uses to grow heirloom tomatoes. 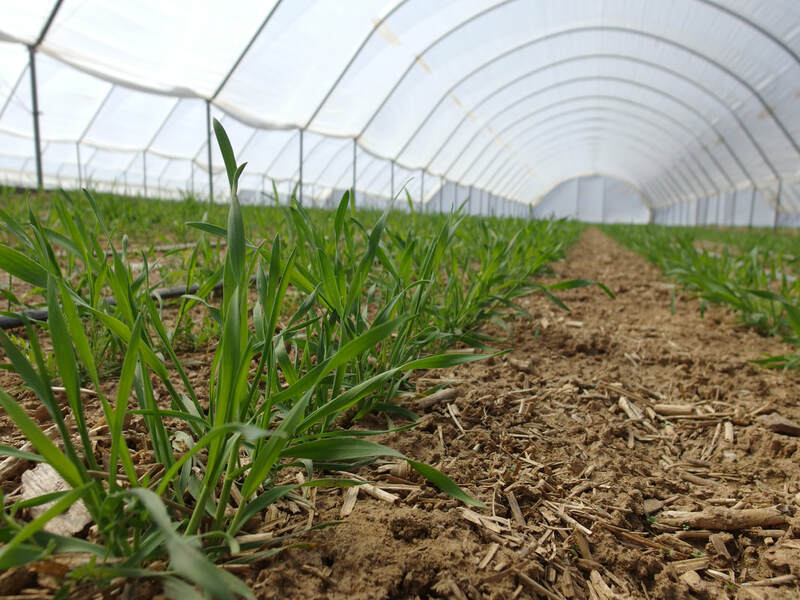 Implementing a no-till cover crop system in the high tunnel helps maintain soil structure and microbial life while reducing pest pressure and possible nutrient loss. During this webinar, Steve will share about the system, including the timing of cover crop planting, seed mix used, and cover crop termination. In addition, the webinar will feature recommendations for farmers interested in using cover crops as a complement with season extension technology. The webinar will include time for participant questions, which may be submitted in advance or during the webinar. There is no cost to participate but registration for the live webinar is required. Kathy Demchak, Senior Extension Associate with Penn State, will share details about her research studying impacts of various cover plastics on pest management (specifically Japanese beetles) and crop yields in raspberry production, as well as how this may be applied to strawberry production and other crops. The webinar will also focus on light transmission issues experienced during late and early season production, recommendations for adjustments if issues are experienced, details to consider before purchasing a new plastic cover, and discussion about plastics durability in tunnel structures. The webinar will include time for participant questions, which may be submitted in advance or during the webinar.